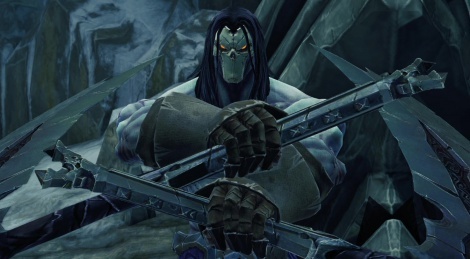 The arrival of Darksiders 2: Deathinitive Edition on Xbox One and Playstation 4 is good news as it basically means that Nordic Games will not drop the franchise and might release a third game in the near future. That being said, the port is still quite disappointing on console since it only runs at 30 fps while the PC version still suffers from occasional stutter once in a while. 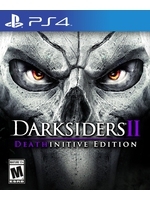 If you have already completed the game, this new edition including all available DLC is clearly not worth your while, but if you've never played this sequel, then you might want to consider a purchase. Although it's not as good as the first episode in many respects, it still remains a good title set in an interesting universe to discover. LOVED the first two. This HD-remake is great, because it's got all the DLC and is nice and high-res. For a lot of people who talked crap about it, yet went out and bought yet-another-FPS, I ask, how many games are there like this??? Sure, there were a few Zelda's, God of War's, Prince of Persia's, etc. way back, but now there's NOTHING. I am happy there are games like this one and hope for more, so everything doesn't turn into a first-person sandbox. Well not sure what you mean by "nice and high-res" its the same game with the same textures. I played it on PC a few years ago and with AA and Sweetfx looks better than the videos above. actually no, not the same textures. they're better then the original PC release. Yeah, I was wrong just seen a comparison video. Does look better, I think the video above has AA disabled which made it look worse than I remembered. Still could do with some sweetFX imo. Wish they would have done more with this remake. Seems more like a re-release. p.s. also there are a lot great new sealed rare games for PS3 and for Steam. No, its not Ad, as I have keys I just want to sell at low price for gamers for savings who still not have for example this game. As you can see, prices is cheaper than in other digital game shops like Steam. Hope it helps! errr...yes, that's called advertising. lol. While I have a couple gripes about this franchise, I still LOVE the fact that they are going for a more mature zelda inspired game. If there was one genre I wish with a strong passion had FAR MORE games it would be the metroidvania-zelda style games. They are by far some of the most addicting and fun games that really tap into what makes gaming such a fun unique experience. All these high polish shooters and such are fun in their own way, but none of those games can ever offer a single player experience that comes close to something like Metroid, zelda, or darksiders. in terms of graphics this really isn't a huge upgrade at all but I'm tempted to buy it simply to support the genre itself.